Eggs are one of those things that everyone has their own method of cooking. 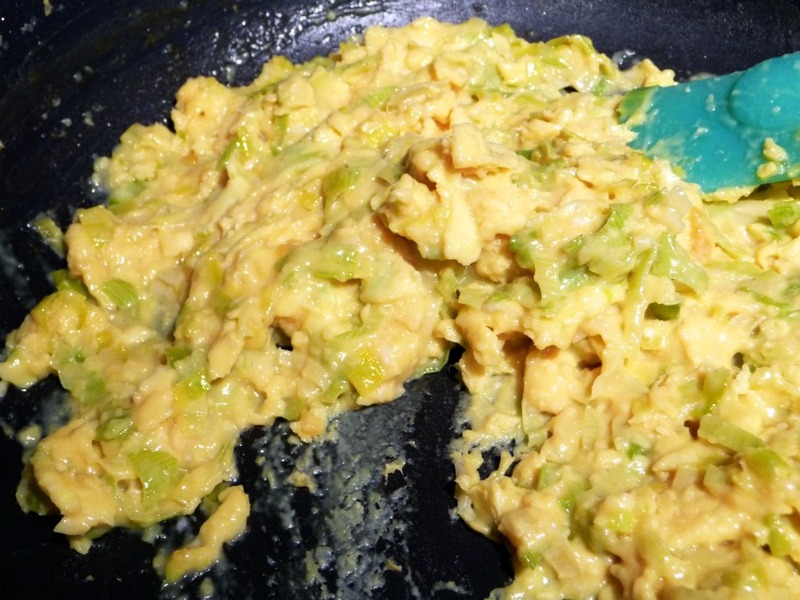 And scrambled eggs, though they seem so simple, can be made a million different ways. Well, if you’ve got 30 minutes to spare and you want to try the creamiest, most delicious scrambled eggs you’ve ever had, read on. Yes, I realize that scrambled eggs can be cooked in a matter of minutes so I know it may seem like an unnecessary ordeal to spend 30 minutes on such an easy dish. But cooking these eggs slowly on a low heat is what makes them so perfect. It’s worth the wait. A lot of people add milk or cream to their eggs to get that creamy consistency, but with this method, you don’t have to add a thing. When they’re done, the eggs are creamy, silky, dense and melt-in-your-mouth amazing. They also turn a darker color than your typical quick-cooked fluffy scrambled eggs, so they look more intense and rich. The leek is essential because it cooks down to be soft and kind of melty and adds a lot of flavor and texture to the eggs. 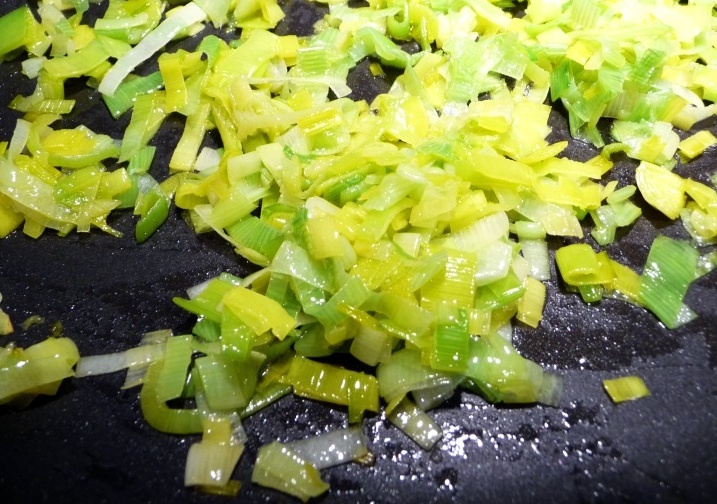 I love chopping and cooking leeks; they’re so beautiful and delicious. You need to babysit the eggs as they cook and keep stirring them in the pan with a soft spatula. You may get to the point of annoyance thinking that they’re never going to start firming up, but whatever you do, stay strong, keep going and do not turn up the heat! They’ll cook in no time (aka: 20 minutes) and you’ll be glad you waited it out as you indulge in every bite. 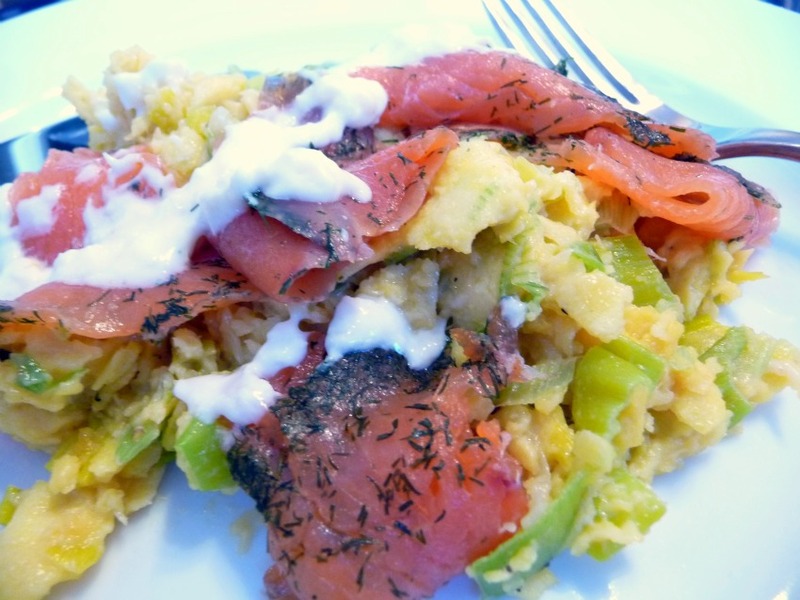 The smoked salmon and horseradish cream just take the eggs over the top. 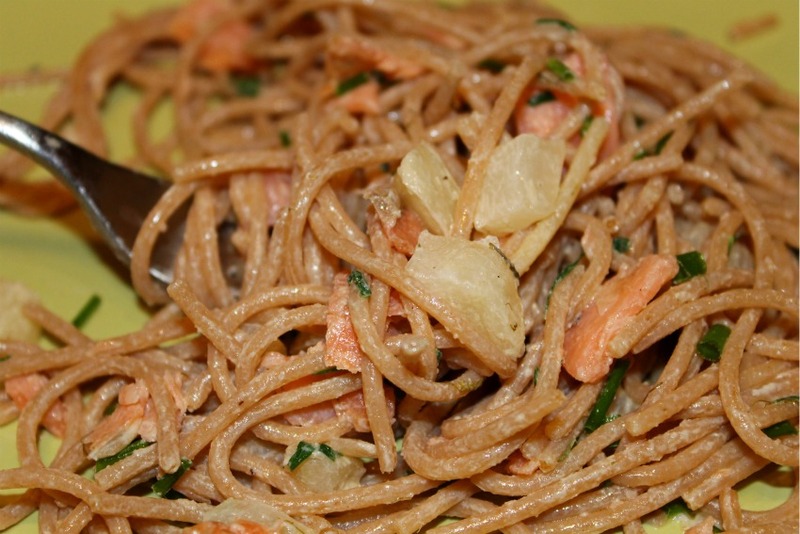 We’ve served this to friends for brunch with some fresh crusty bread and they were very impressed. I decided not to tell them how incredibly easy it was to pull together. 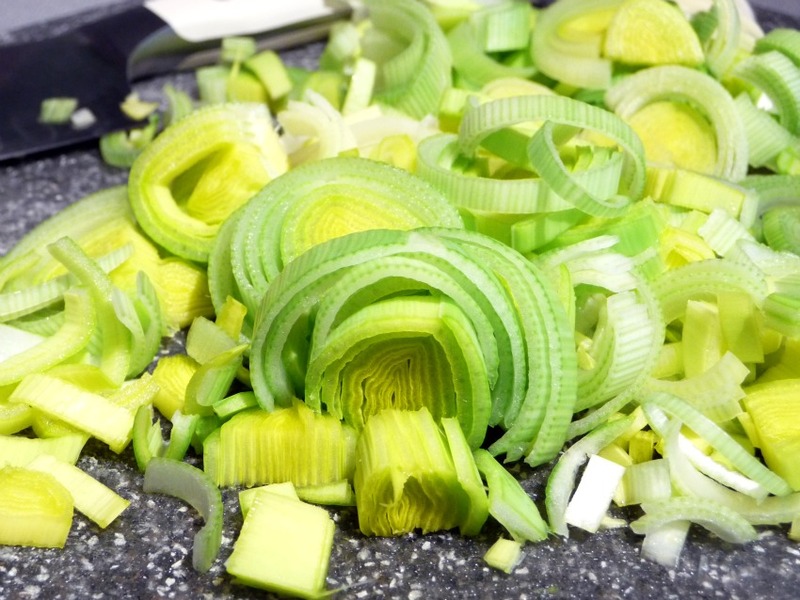 Slice the leek in half lengthwise, run under cold water, separating the layers to clean out any dirt. 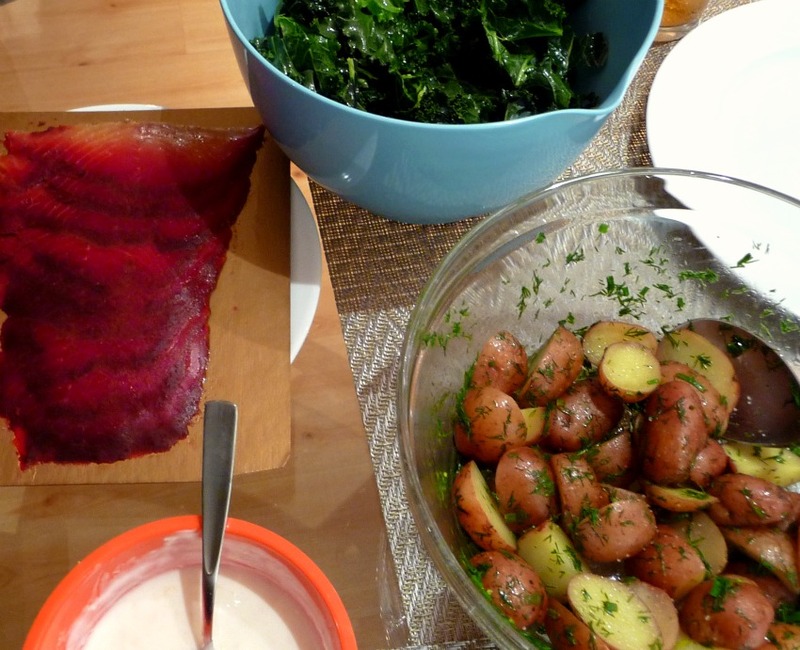 Dry and slice into half-moon pieces. 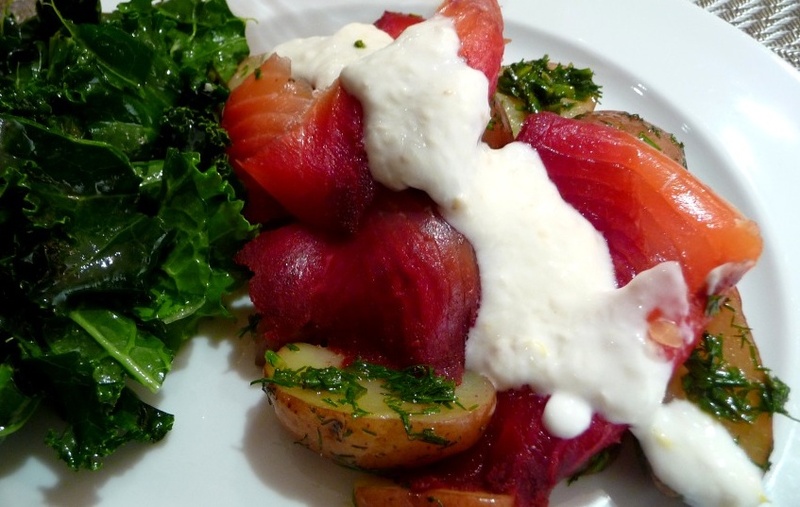 In a bowl, mix the sour cream and horseradish. 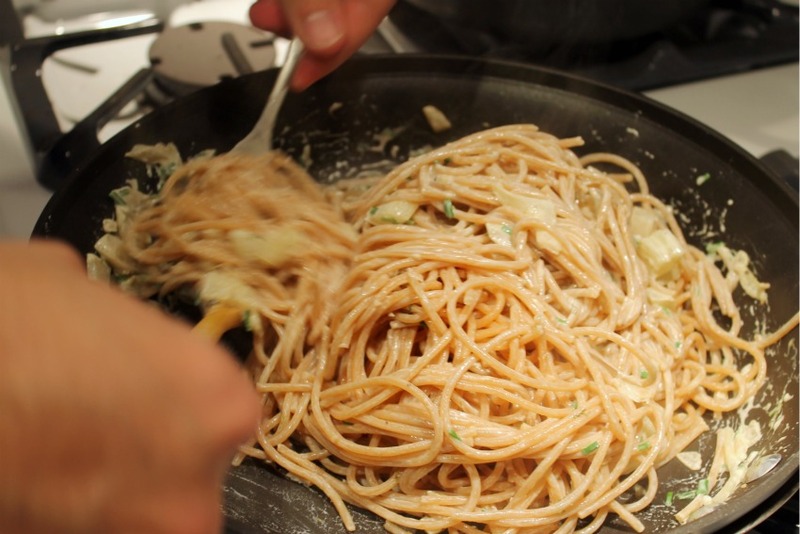 Add some freshly grated lemon zest and set aside. Crack the eggs into a large mixing bowl and whisk to blend. 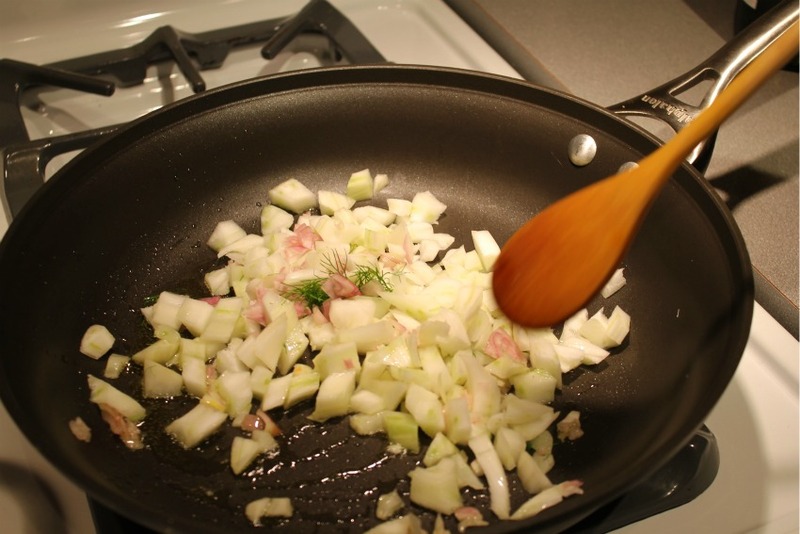 Add a good amount of olive oil to a large pan on medium heat and sauté the leeks for 10 minutes. You really want to cook them down to be soft and melty in consistency. 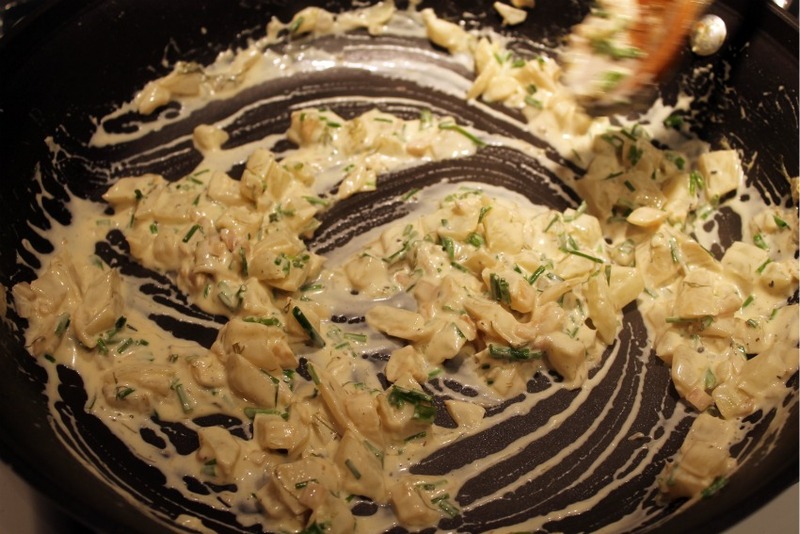 You don’t want them to brown so watch the heat and keep them moving in the pan as you sauté. 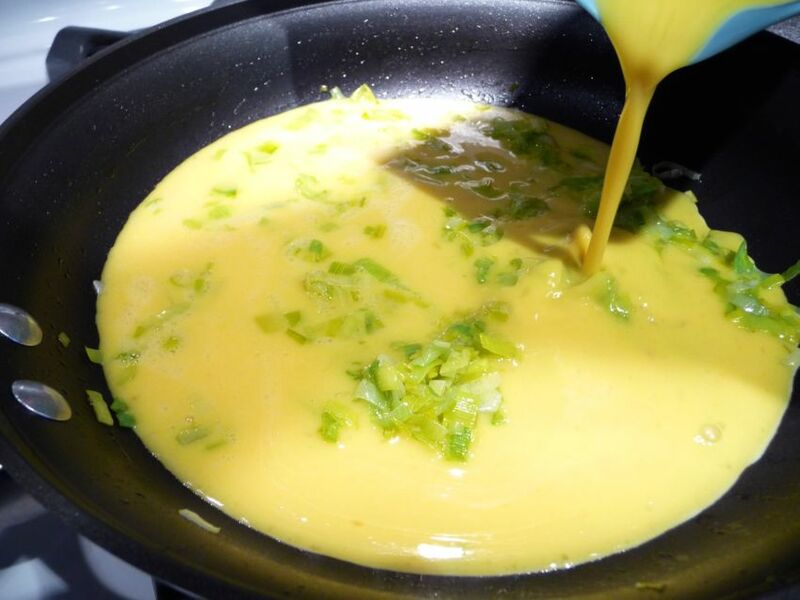 Once the leeks are ready, lower the heat to a low setting and wait about a minute before adding the eggs, to bring down the temperature in the pan. 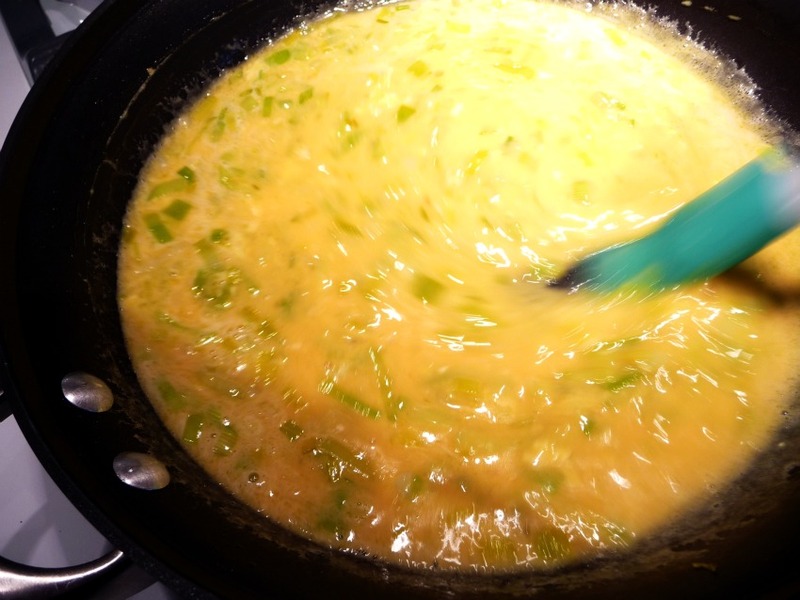 Whisk the eggs one more time and then add them into the pan with the leeks. The eggs now need to cook very slowly on that low heat for about 15-20 minutes. 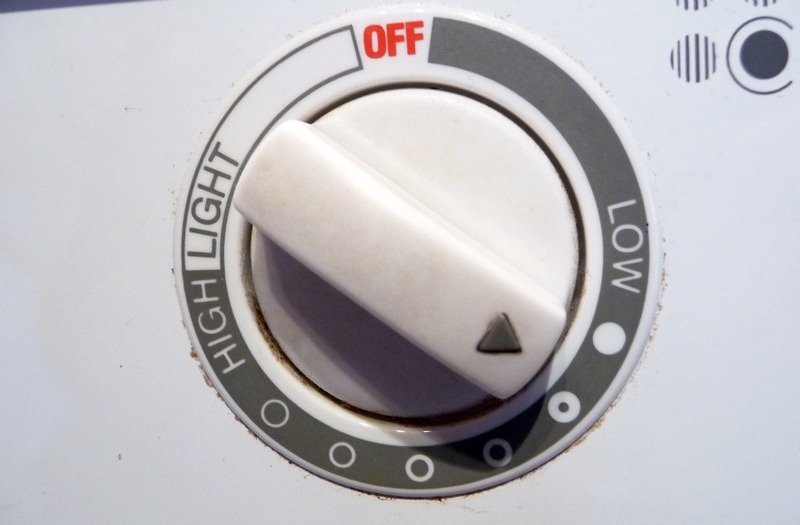 You may get fed up but the final result is completely worth the effort, so keep on going… Don’t touch that knob! 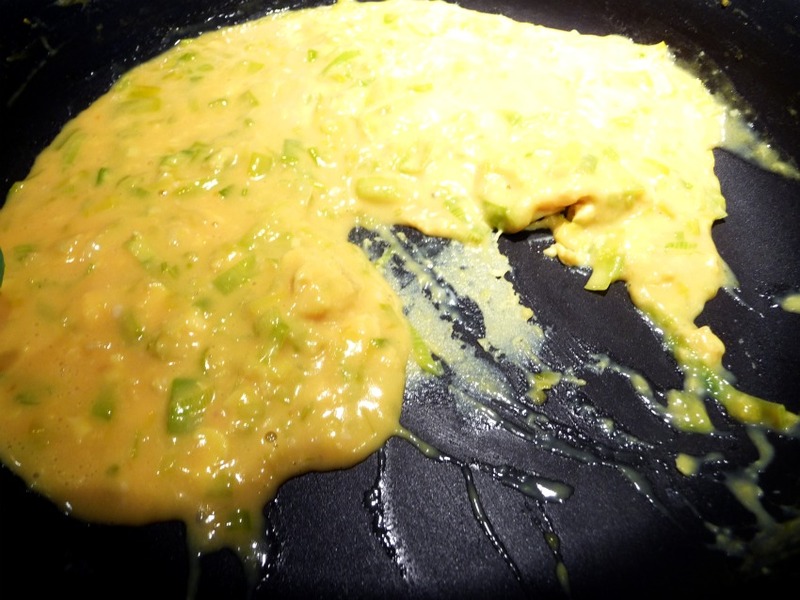 Using a soft spatula, keep moving the eggs around the pan in circular motions as they slowly cook. 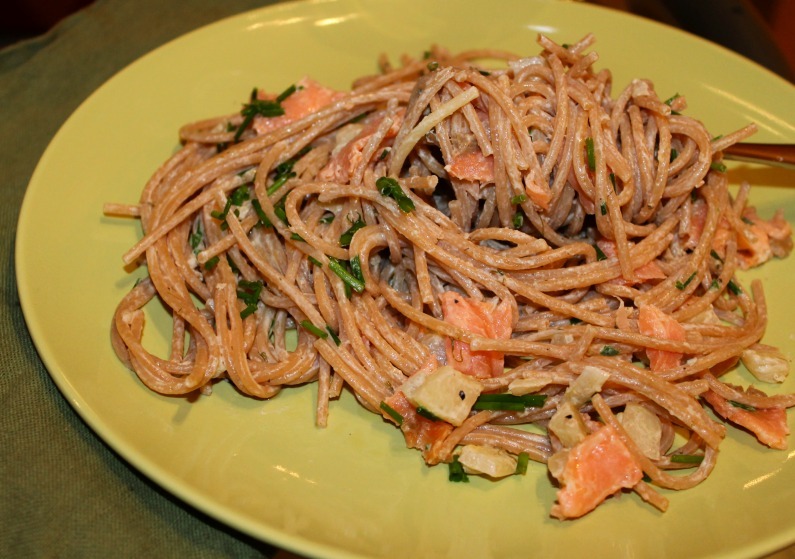 Let them sit undisturbed for a few seconds and then mix them around again. Repeat! It takes a while before they start to transition from liquid form, but keep on cooking! The eggs are ready once all the liquid cooks and the eggs are solid. You want them to be creamy so don’t overcook them to the point where they’re very firm and dry. You want them to be moist. Add salt and pepper just before you’re ready to plate. 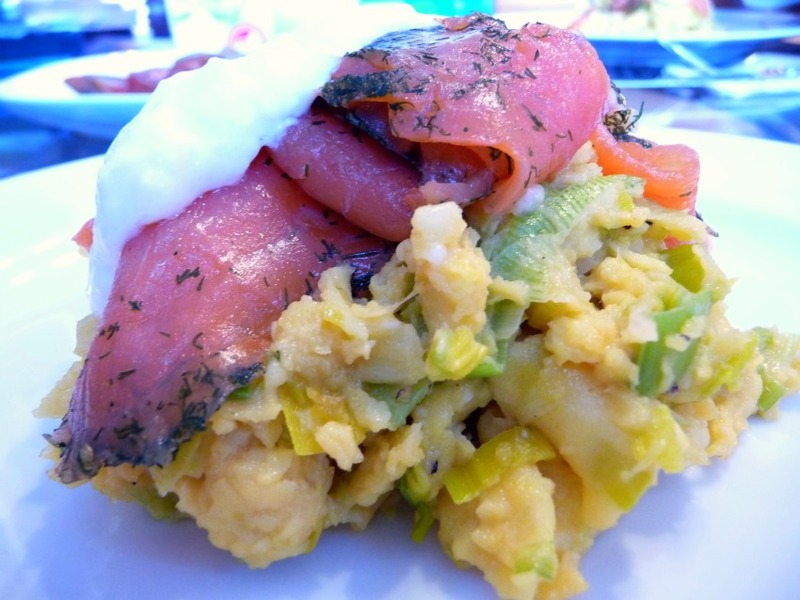 Plate the eggs and top with pieces of smoked salmon. 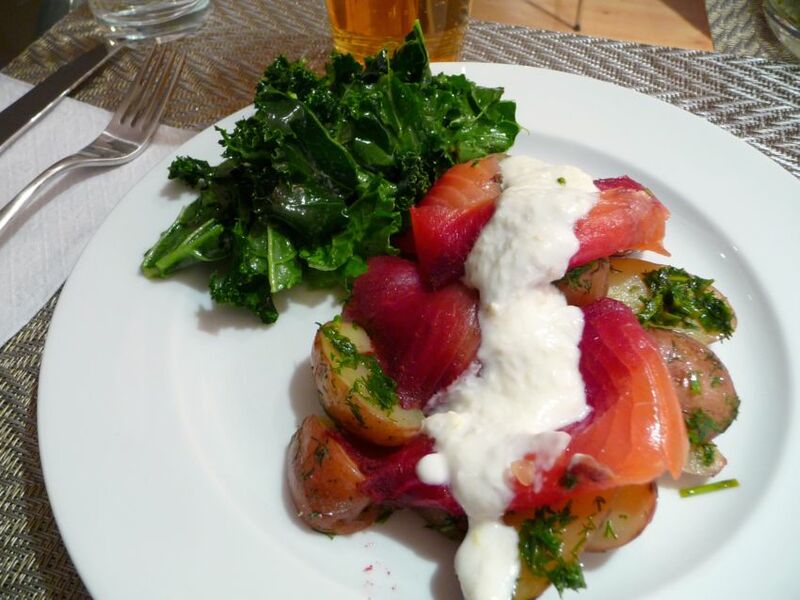 Add a dollop of horseradish cream and serve.